The remote working revolution is definitely on, however, this new work scenario can be a challenge for senior management teams. Some may struggle with managing and engaging with the remote team and even gaining a certain level of trust with employees. Yet, this is the way to go, telecommuting is what people want and it can’t be overlooked anymore. With the best remote working tools to manage teams, creating the circumstances that suit everyone involved is not that hard. At 10to8 we often work remotely, and it’s about time that we revealed our choice of remote working software solutions that maximize efficiency. Surely, they will help you come to grips with your telecommuters too. With remote teams, it’s important to focus on goals rather than activity. If the outcome of an employee’s efforts is high-quality, how they achieved it should be of secondary importance. Tableau is an excellent tool to keep track of progress and see whether the goals are getting closer to being achieved. Tableau is business intelligence and analytics software which allows you to create custom dashboards by gathering data from your most important sources to one place, be it CRM system, Google Analytics or AdWords, or your own in-house software. The great thing about this remote working tool is that you can decide on what KPIs are relevant and then import all the data related to them KPIs, thanks to the highly customizable platform. This will make it easier to see the bigger picture: the correspondence of data and not just snippets of information. This brilliant tool will shorten the time you spend on trying to understand how your team’s efforts pay off. As for your team, they will understand exactly what’s going on in the business. They will have a clear understanding of expectations and priorities, as well as up-to-date knowledge on how the company as a whole performs. This transparency will also help with building trust. Speaking of transparency and trust that leads us nicely on to IDoneThis. The remote working software will sync your team not only with you but with each other as well. The daily status updates will enable all of the team members to check in and give an update on their progress. You will have a better understanding of what’s done or getting done, and employees can raise if they are blocked in achieving their goal by something or someone, so you can figure out a solution together. With bigger remote teams, hosting daily meetings to give a status update is time-consuming and inefficient, on the other hand, delegating only one member of each branch of the company can result in information deficiency or misunderstandings. The mentioned status updates will solve this for you. As a team manager, you can also benefit from the robust reporting feature of IDoneThis. 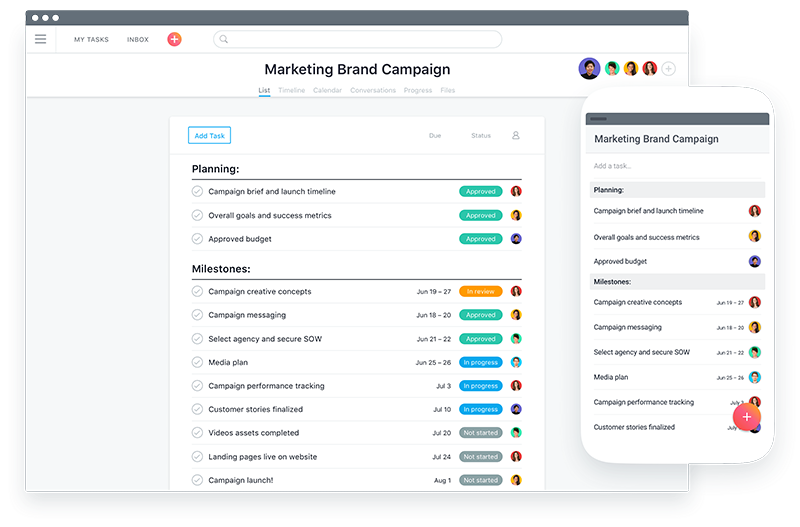 Asana, in short, is a ticketing system, that helps teams stay focused on projects and daily tasks that make the company move forward. As remote working software, it is a great place for collective team knowledge. You can create projects with sections in them, and the tickets that you write for every little task will move around within these sections, supporting transparency and better tracking progress. As for collective knowledge, it is extremely helpful to have everything on tickets that has ever happened in the business. It makes it so easy to see if there had been an attempt to get something done in the past, why did the task fail, what blocked it and what can be done better. On the flip side, it can also highlight what went well. Asana basically means remembering everything that matters. Properly written tickets also help new teammates to pick up old tasks if needed. The Asana Workflow will help your work as a team manager see all your remote team’s effort and provide them with guidance when a ticket is stuck or blocked. CharlieHR is your and your employees’ happy place. Seriously. 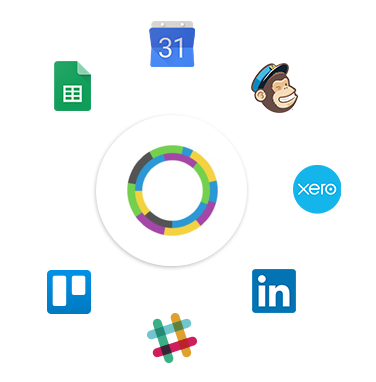 This tool is a game-changer if your company scales rapidly and you don’t have the time or have better things to do than HR-related admin. CharlieHR allows you to automate the whole process from onboarding a new employee to performance reviews to time off to offboarding. So what can you achieve with this program? You can create an onboarding checklist that every new joiner must complete. This can include working device settings, software to learn, company culture to get familiar with etc. You can also set up reminders when an employee passes probation, or when a 6-month or annual review is due. Your team will be able to request annual leave and see others’ time off, as well as who are working remotely. They can update certain information such as a change in address or bank account number and track remaining holidays. CharlieHR will save you much time so you can concentrate on more important things. Now that you know some of the best remote working software that will make managing teams a breeze, discover the best remote working tools that your employees need to know about!